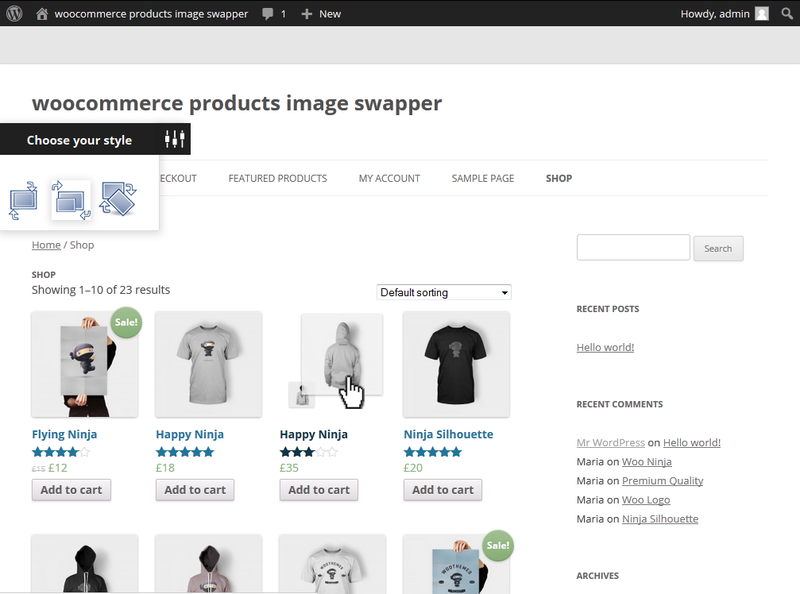 WooCommerce Products Image swapper adds second image to product archives from products gallery, That image is shown on Hover, Perfect for displaying front/back shots of Bags, Tshirts, Digital goods, Clothing and other products. 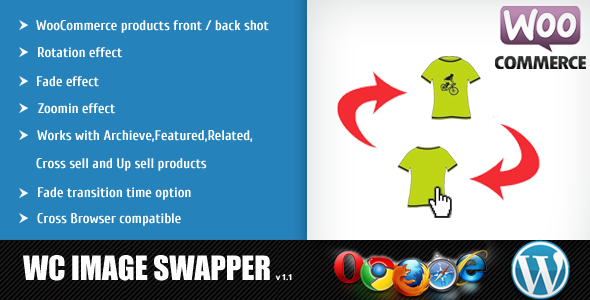 WooCommerce Products Image swapper plugin Works with Archieve,Featured,Related,Cross sell and Up sell products. This is great, I was looking for something like this about a year ago. purchased it Works fine. 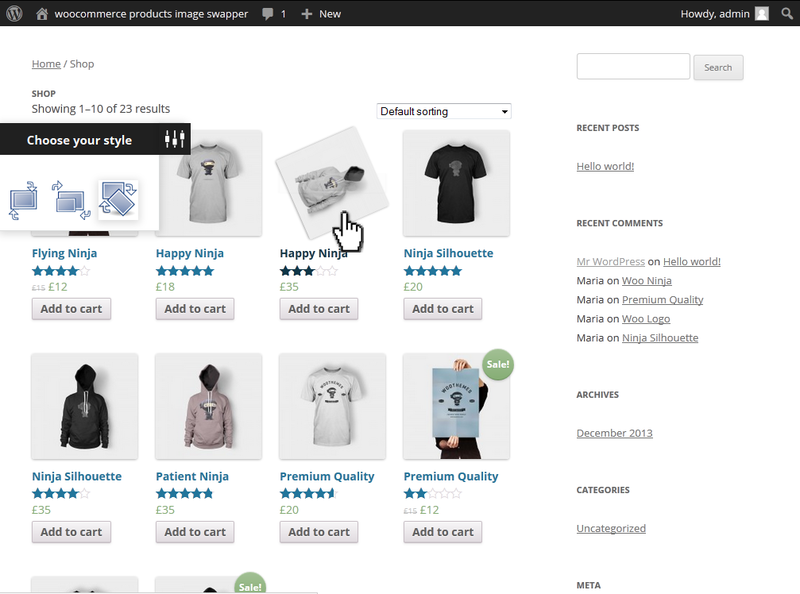 Thanks for your interest, and very glad to hear you like our plugin. Woocommerce products image swapper perfectly works with the Latest woocommerce version(V 2.1.x).